"His form in novice company from earlier in the season is eye-catching...and he makes more appeal than his stablemate off a still lenient mark." Saturday's Scottish Grand National is looking a much more open contest than the Aintree version last weekend where Tiger Roll rewarded favourite backers at odds of 4/1. They're going 8/1 the field at the time of writing, and mention of Aintree makes Vintage Clouds a good place to start. He was regarded as one of Tiger Roll's chief threats last Saturday but his race was over at the very first fence where he overjumped. Said to have eaten up well since by his trainer Sue Smith, Vintage Clouds is set to bid for quick compensation in what will be his third Scottish National, having seen things out thoroughly when an excellent third to the close finishers Joe Farrell and Ballyoptic twelve months ago. Following a wind operation, Vintage Clouds can boast a more recent, and still better, effort in defeat when a rallying second to Beware The Bear in the Ultima Handicap Chase at the Cheltenham Festival and is now weighted to turn the tables. Indeed, whilst a very different horse for the fitting of blinkers this season - Beware The Bear ran no sort of race in last year's Scottish National - a 9 lb rise in the weights for his Festival win means Nicky Henderson's runner has to shoulder top weight. Fourth in the Ultima was Big River, which was a remarkable finishing position given how far back he was relatively late in the race. He appeals as one of the better-handicapped entries and shaped like a thorough stayer last time, but he hasn't convinced in big fields and there's some doubt over his participation if conditions don't soften between now and Saturday. Doing Fine finished a place behind Vintage Clouds when fourth after a break last year, and although he didn't show the same form in three starts at Cheltenham earlier in the season, he has had a similar preparation this time. However, his trainer Neil Mulholland has three other possibles with better recent efforts to their name in The Young Master, Impulsive Star and Carole's Destrier, though like Doing Fine they all hold entries in the bet365 Gold Cup as well, and no doubt at least one of them will go to Sandown instead. Former bet365 winner The Young Master unseated at the first in this race last year, but he began this season with a couple of victories off lower marks and shaped well when staying on for third in the Fulke Walwyn Kim Muir at Cheltenham last time under regular rider Mr Sam Waley-Cohen. Impulsive Star is another of Waley-Cohen's regular mounts, and the partnership was successful for a first win over fences in the Classic Handicap Chase at Warwick in January when having stablemate Carole's Destrier back in fourth. A line can be put through Impulsive Star's last run when meeting trouble in an incident-packed National Hunt Chase last time. Carole's Destrier beat Ballydine at Newbury in December and still isn't badly treated on his best form after winning a veterans' event there last month, though this is a more competitive affair. Another trainer with a good hand is Alan King who won this with the novice Godsmejudge in 2013. He saddles one of the favourites Dingo Dollar who has no doubt had this as a target ever since finding only Irish raider Crosshue Boy too good in the valuable novices' handicap on the corresponding card twelve months ago. Dingo Dollar has been placed this season in the Ladbrokes Trophy at Newbury and the Grimthorpe at Doncaster last time when runner-up to Chidswell, with Brian Boranha third. Dingo Dollar was conceding plenty of weight to the winner who's a reliable, if fairly exposed type, but the form doesn't look anything out of the ordinary and his stamina for this longer trip has to be taken on trust. King's other entry Talkischeap also has his stamina to prove over four miles, but he certainly shaped as though in need of more of a test when a keeping-on fifth to Walt in a valuable Grade 3 handicap at Kempton last time. Talkischeap's form in novice company from earlier in the season is eye-catching - he came up against future Grade 1 winners La Bague Au Roi and Lostintranslation on his chasing debut - and he makes more appeal than his stablemate off a still lenient mark. Of the rest, the Richard Hobson-trained Chic Name gets a positive mention as he seems to come good at this time of year and landed the Highland National at Perth last April. He also beat last year's winner of this race, Joe Farrell, at Newbury last month when well backed under Jonjo O'Neill junior, and he's one to take seriously again. Jonjo senior trains one of the least exposed in the line-up in Cloth Cap, for Vintage Clouds' owner Trevor Hemmings, who won his last couple of starts at Stratford and Catterick when last seen in November and is open to further improvement. Another coming here in winning form is Crosspark who put up a career-best effort to win the Eider at Newcastle last time on unseasonably good ground from a past winner of the race Mysteree. Geronimo is a course winner twice this season and could go well from the bottom of the weights for Sandy Thomson whose Seeyouatmidnight was a good third in this three years ago. Paul Nicholls has won the Scottish National three times in all, twice recently with Vicente, and relies on Ibis du Rheu to enhance his record. However, he needs to bounce back from running below form behind Impulsive Star at Warwick three months ago when reportedly bleeding from the nose, and just one win from three seasons over fences isn't an appealing strike-rate. Nigel Twiston-Davies is also seeking a fourth win and has three entries, including the in-form Blue Flight. 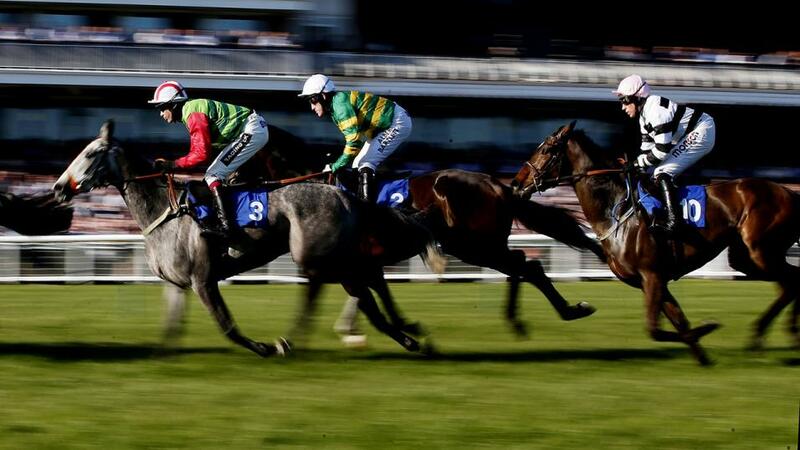 The six-year-old ran a career best when runner-up in a handicap at Kelso last time after two earlier course wins but he's not a proven stayer, and neither is Arthur's Gift, pulled up in the Midlands Grand National last time. There's no doubting Cogry's stamina, as he showed when narrowly beaten by Vicente here two years ago, and he was as good as ever earlier in the season when winning at Cheltenham, but he's another who ran poorly in the Warwick race last time. There are plenty with chances then, and Crosshue Boy, campaigned mainly over hurdles since beating Dingo Dollar on this card last year, commands plenty of respect, while Chic Name looks interesting at the foot of the weights, but Dingo Dollar’s stablemate Talkischeap has a lot going for him in a race that’s been kind to novices over the years and hopefully it will be a case of deeds not words where he’s concerned.